The Ledbetter Fair Pay Act: What Does it Mean For Your Business? A. Overview of the facts of Ledbetter v. Goodyear Tire & Rubber Co., Inc.
D. Investigate Claims of allegations of disparate pay, etc. 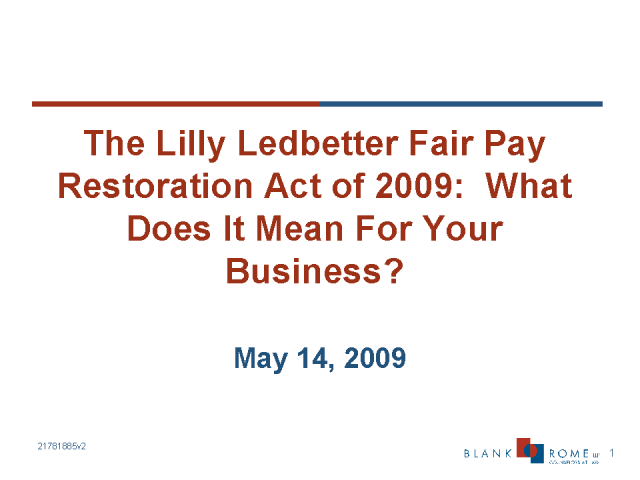 Title: The Ledbetter Fair Pay Act: What Does it Mean For Your Business?